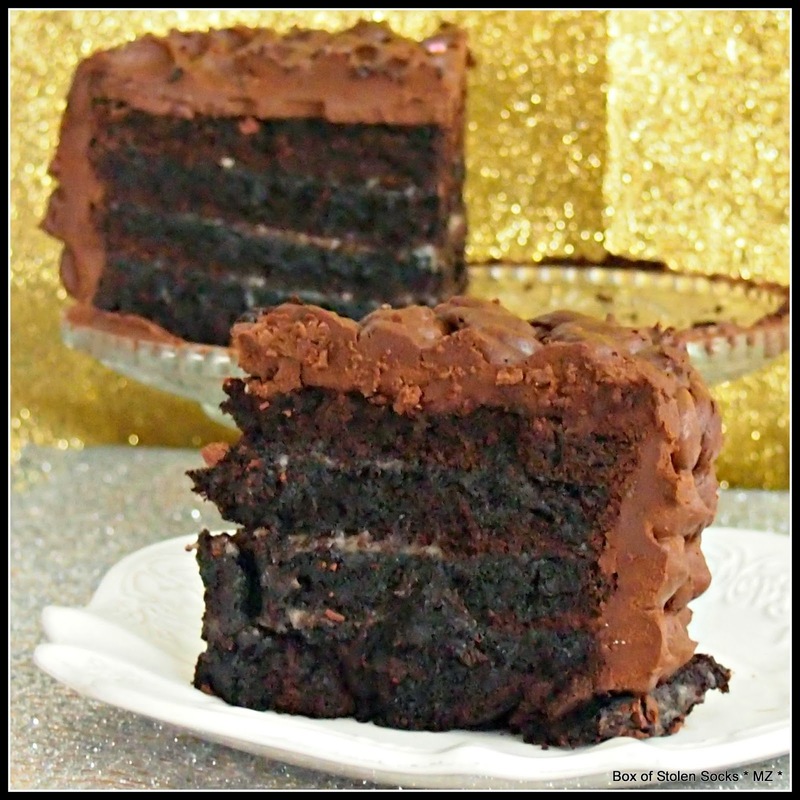 The most decadent, luxurious and delightful chocolate cake you've ever had! Turning 35 is no small deal. Don't you think? It is not 40 but still quite a milestone. And the best part is that I managed to get here in one piece. Even though I would so much love to be in more than one, or even two pieces; you know what I mean, those with the small fingers and cute noses..., but there is still time. I wanted to celebrate this birthday with a bang. A baking bang. I am not the most adventurous person in real life but in my culinary life I love me a good challenge! 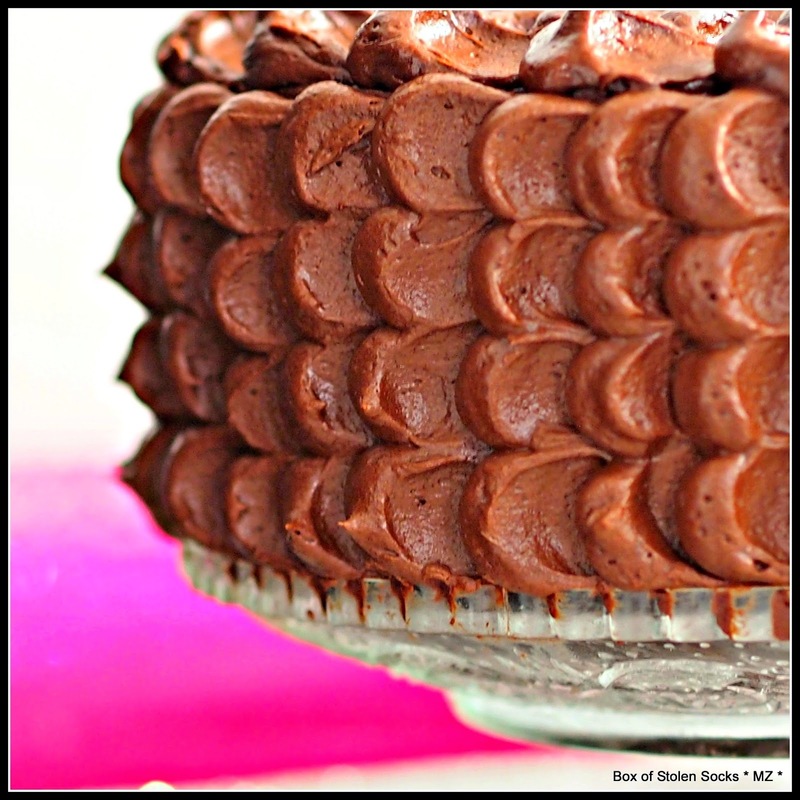 I had my eyes on this super chocolate cake for a long time. It was love at first sight when I first saw it on marthastewart.com a couple years ago. Ah, yes, definitely love at first sight. But I was not ready for it then. 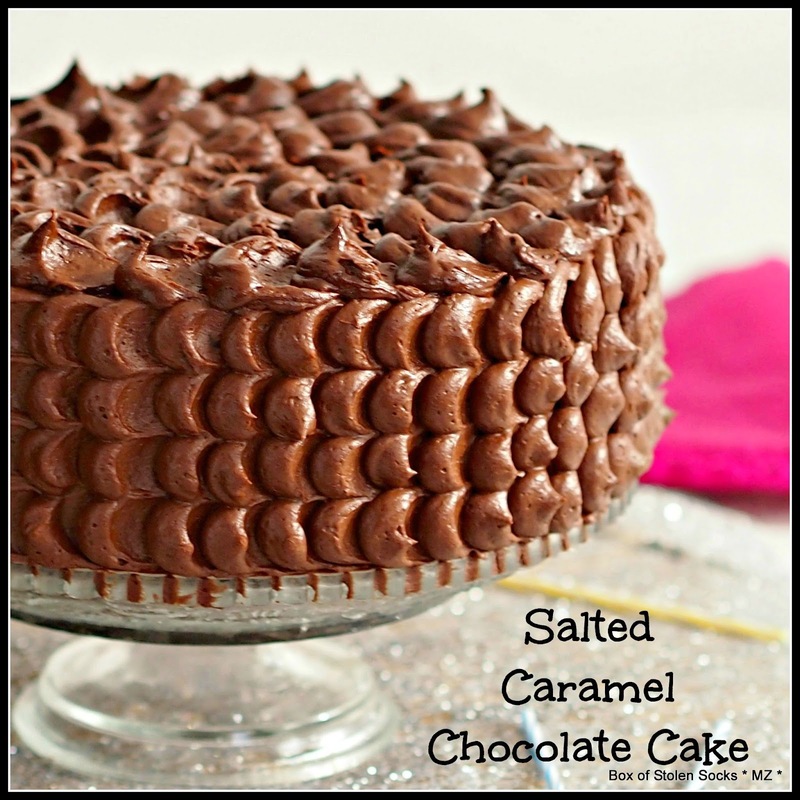 I was intimidated by the six layers of moist chocolate cake and rich caramel sauce. Now that I am older and wiser and not afraid of a chocolate cake I just had to bake it. 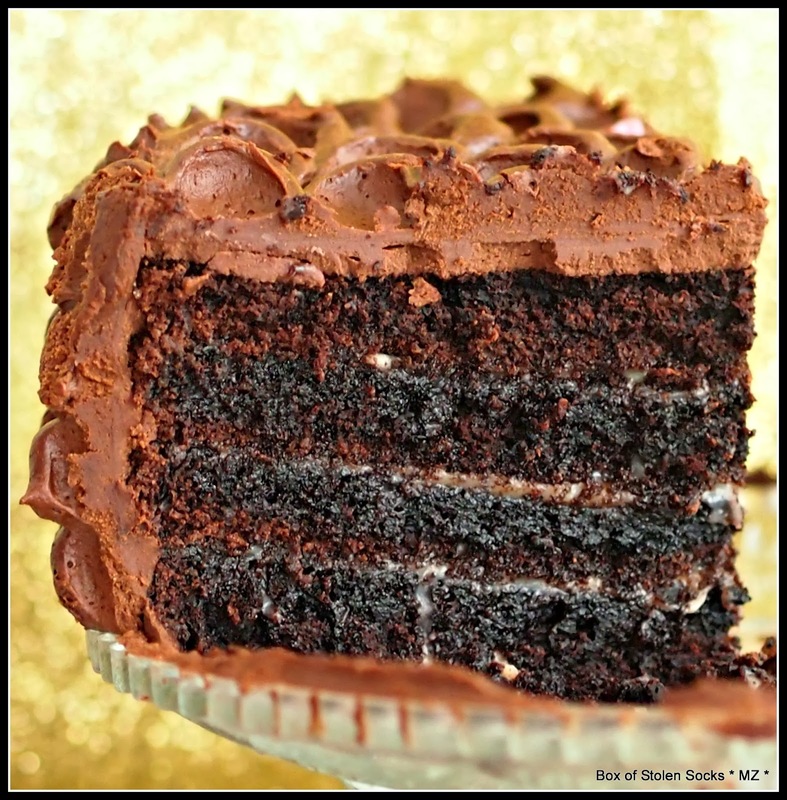 OK, it is every chocolate lover's dream, and, yes, it is supposed to have six layers, and it is filled with milky salted caramel sauce and then frosted with rich chocolate butter cream, but it is not that difficult to make, is it? No, definitely no. If I could make it so could you. Just follow the instructions and pay attention to a few tips I am going to give you below. I used this gluten free flour (a mix of potato flour, rice flour and guar gum) but you can use regular flour. In fact I made this cake twice, once with gluten free flour and then again with normal all purpose flour as per the original recipe. The recipe worked perfectly for both types of flour! The only difference was that the regular flour cake was slightly moister than the gluten free. But you kind of anticipate that something like that might happen when baking gluten free. Anyway the difference is barely noticeable as my taste tasters reported back to me. In my part of the world we do not use buttermilk. I substituted it with a DIY buttermilk I made from mixing 1 1/2 cups of full fat milk with 1 1/2 tablespoons of white wine vinegar. I let it stand for 15 minutes. It is ready to use when the milk splits and thick white blobs form on its surface. 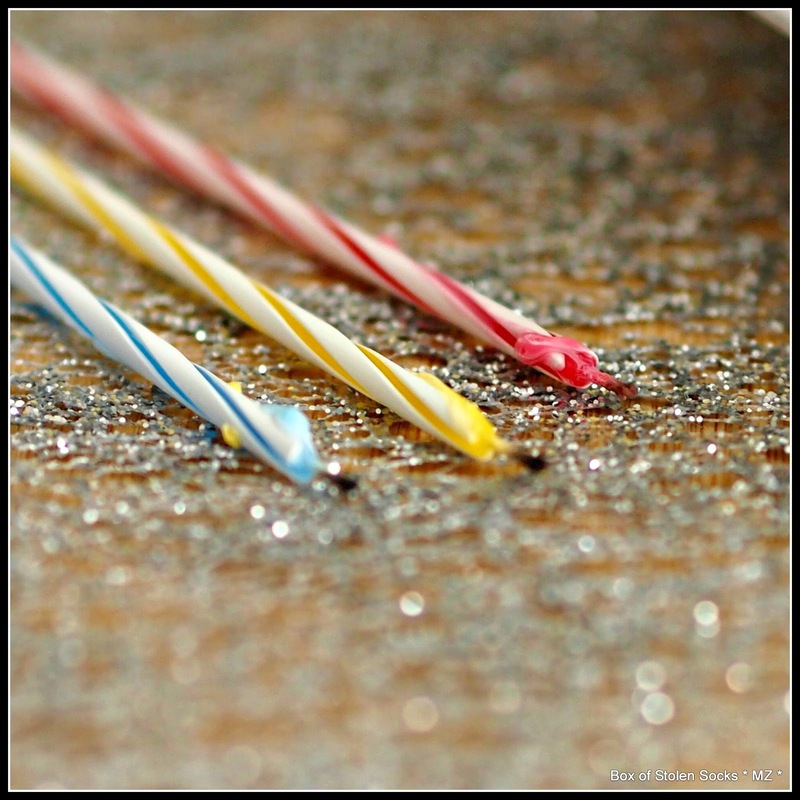 Before you put your cake pans in the oven, be sure that you have filled them evenly with the cake batter. You don't have to bake them all at the same time. My oven is small and I could bake one pan at a time. Stir up the batter in the "rested pans" before you put them in the oven. I definitely recommend using Bake-Even Strips, if you have them. Your cakes have to rise a lot and they have to be as even as possible to be able to give you the layers that you need. I did not use anything and I ended up with three bumpy risen cakes, looking like mount Etna ready to explode. They gave me only five perfect layers and a heap of leftover cake to make cake pops or have for breakfast for the rest of the week. If you do not have the Bake-Even Strips, don't worry. Just cut a few strips of fabric, soak them in cold water and fasten them around the pans with safety pins. This helps to even the temperature out. The batter that's in touch with the hot pan sides doesn't cook faster that the rest of the cake, trapping hot air inside which in the end will escape through the centre, rising and cracking your cake. Leave the baked cakes in the fridge to stand for a couple of days before you cut them. It will help the cake solidify a bit more, making cutting the layers very easy and almost crumb free, plus it will intensify its flavour. Don't worry, it will still be very moist. This cake gets better day by day!! As you will see, this technique requires a lot of butter cream. I doubled the original recipe but if you want a more minimal look just half the quantities I am giving you here. There should be enough there for a crumb coat and some basic patterns. Just one last tip before I give you the recipe. Butter cream can get very soft while you are piping it. It is made out of butter and butter melts quite easy, especially when you are handling the piping bag for extended periods of time. If the weather is hot it is going to happen quicker than when it is cold. So be prepared to put it in the fridge for a few minutes until it firms up enough for you to be able to pipe flawlessly...The whole process might last longer than you expected so allow extra time for decorating you chocolate masterpiece. It will not hurt, and certainly not your back, to pull up a chair, get comfortable and start decorating!!! First make the cake. With the small butter cube, butter the bottoms and sides of three 9-inch or 23cm cake pans. Dust them with flour and shake them over the sink to get rid of any excess. Shift the flour, cocoa, sugar, baking soda, baking powder and salt into the bowl of your mixer. Beat them on the lowest speed until they combine. Raise the speed to medium and add the eggs, one by one, the buttermilk, oil, vanilla and 1 1/2 cups of warm water. Beat until the batter becomes smooth. Divide the batter equally among the pans. Don't forget to wrap them with Bake-Even Strips or wet cloth strips (see above)! Bake for 35 minutes or until the cakes are set and a toothpick inserted into the centre of each comes out clean. Let the baked cake cool in the pans for 15 minutes and then turn them out onto a rack and let them cool completely before you refrigerate. To make the caramel. Combine the sugar, corn syrup, and 1/4 (60ml) cup water in a medium saucepan over high heat. Cook without stirring for about 14 minutes, until the mixture is dark amber. Remove from the heat and pour in the cream, carefully because it will spatter. Stir the mixture until it becomes smooth. Return to heat and cook for about 2 minutes, until a candy thermometer reaches 238F/ 114C. 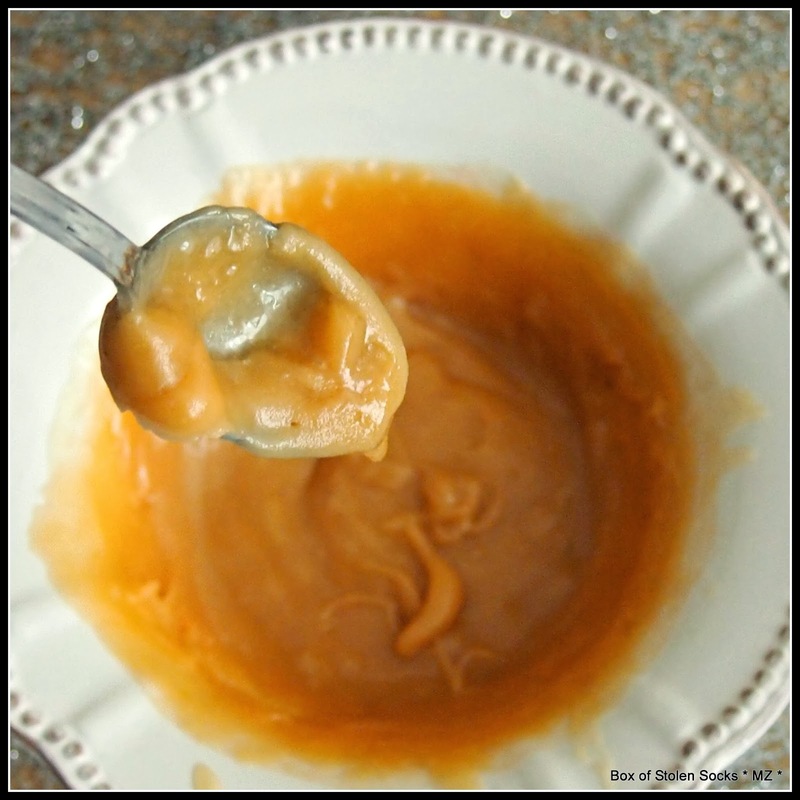 Poor the caramel into a bowl, stir in 1 teaspoon of coarse salt and let it cool slightly, about 15 minutes. Then stir in the butter one cube at a time. Let it cool completely. It can be refrigerated for 3 days. 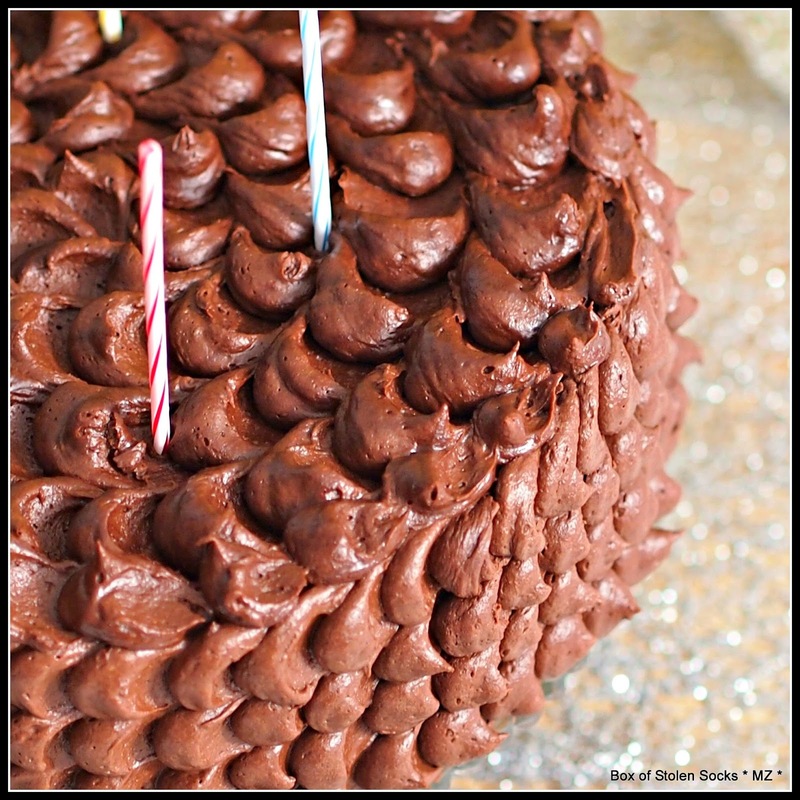 To make the frosting: In a bain-marie melt the chocolate and let it cool before you start preparing the frosting. In a small bowl whisk together the cocoa powder with the water until it dissolves. Beat the butter with the powdered sugar and a pinch of salt in a clean bowl with the mixer on medium speed until they it becomes pale and fluffy. Gradually beat in the melted chocolate and the cocoa mixture until they combine. Let it stand for 30 minutes before using. 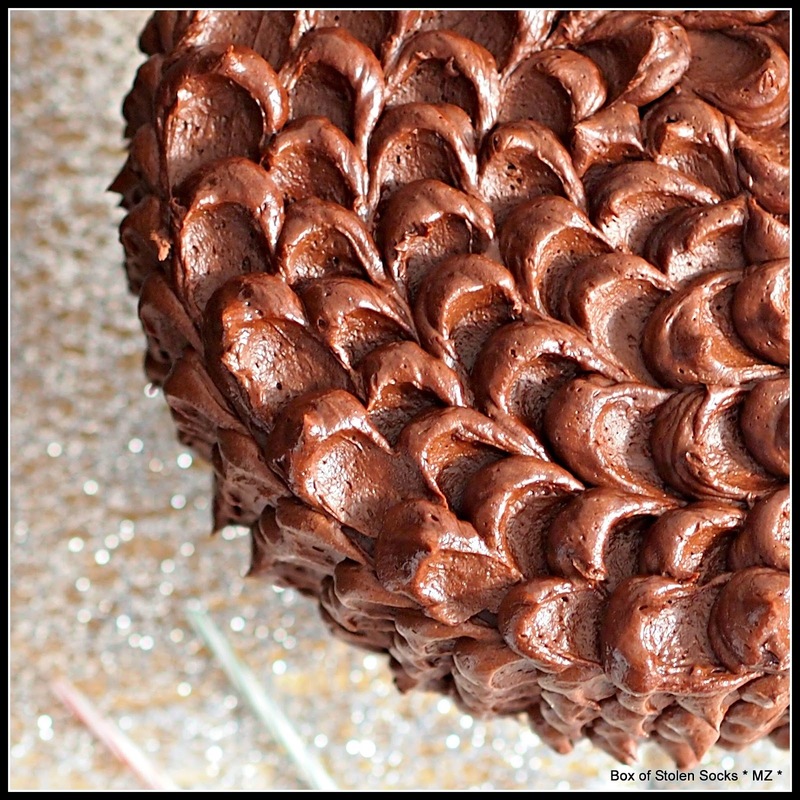 Assemble the cake: Use a serrated knife and trim the tops to make the cake as level as possible. Cut each cake in half horizontally to make 2 layers. Transfer one layer to your serving platter and spread about 3/4 cups of caramel. Put another cake layer on top and repeat with more caramel until you use all your cake layers. Leave the top uncovered. Refrigerate for about 1 hour until the cake is set and then frost your cake.